The CUNY Academic Commons is hiring a developer! This is an awesome idea. Will you be releasing this for standard groups too? 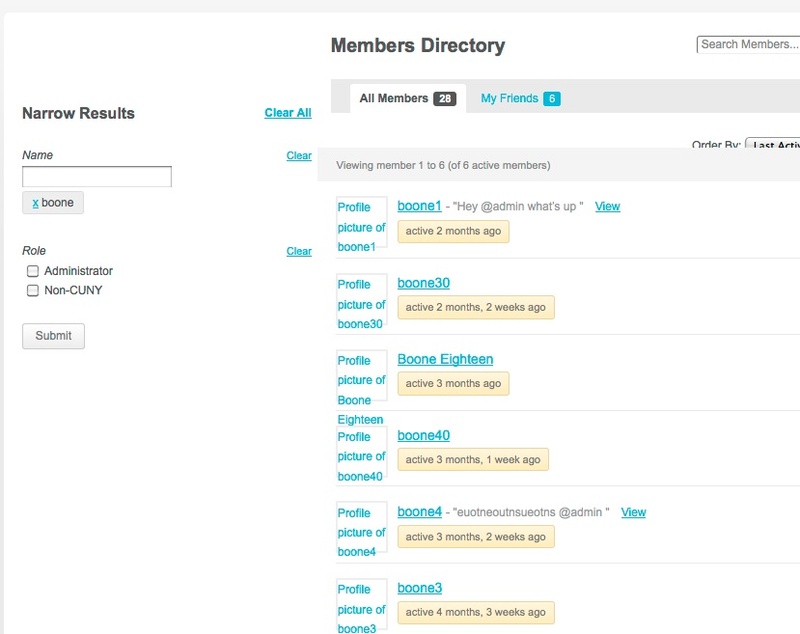 BP Groups don’t have the same kind of metadata as xprofile provides, so it would be of less immediate use. But maybe. 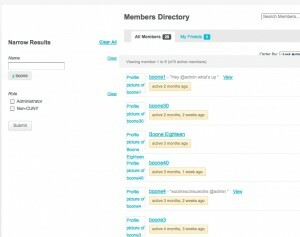 I’m testing bp-better-directories with BP 2.1 and WP 4.0 and getting the full member list no matter how I try to filter. I get the full member list after each interface change. The “Loading…” panel appears but it always shows the full set of members.